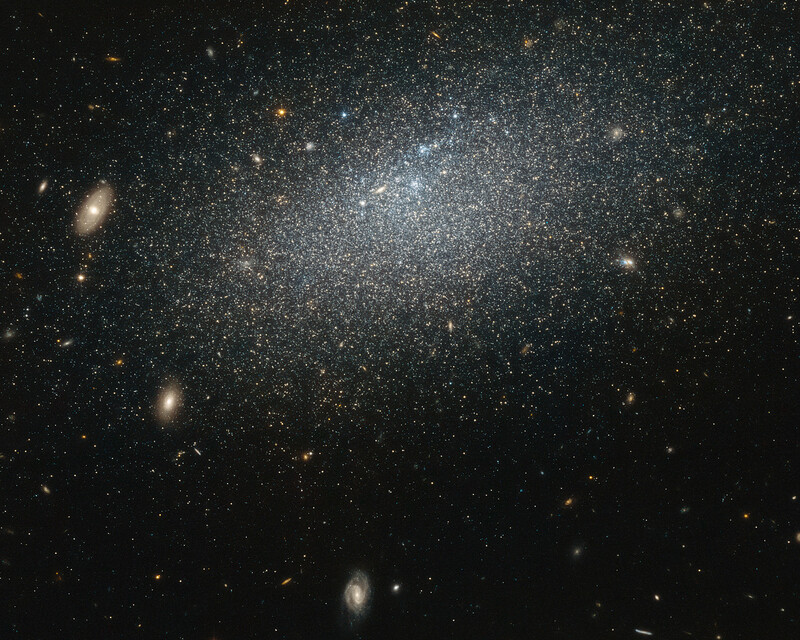 This galaxy is also very isolated. 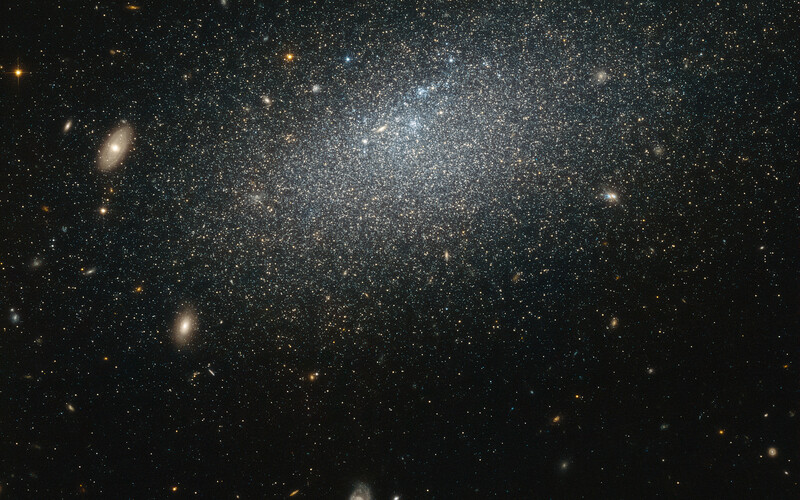 There are about 2.3 million light years between UGC 4879 and its closest neighbour, Leo A, which is about the same distance as that between the Andromeda Galaxy and the Milky Way. 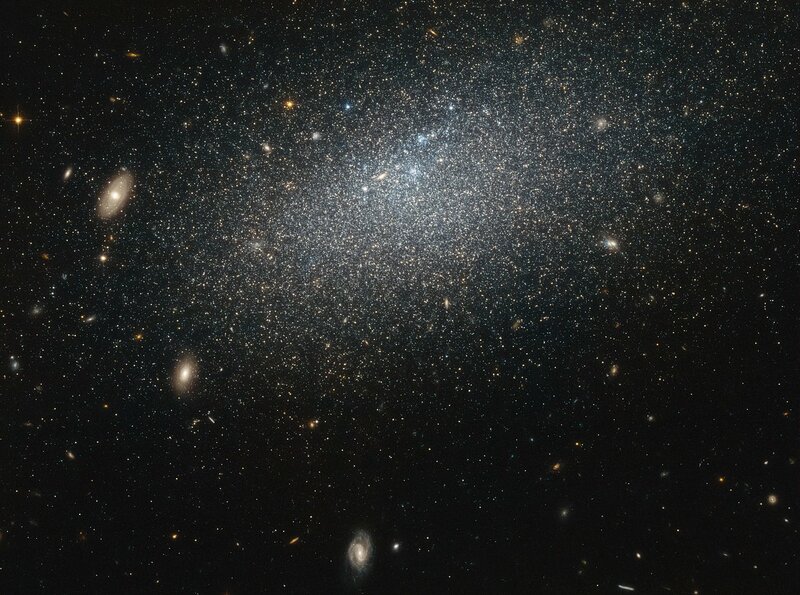 This galaxy’s isolation means that it has not interacted with any surrounding galaxies, making it an ideal laboratory for studying star formation uncomplicated by interactions with other galaxies. Studies of UGC 4879 have revealed a significant amount of star formation in the first 4-billion-years after the Big Bang, followed by a strange nine-billion-year lull in star formation, ended 1-billion-years ago by a more recent reignition. The reason for this behaviour, however, remains mysterious, and the solitary galaxy continues to provide ample study material for astronomers looking to understand the complex mysteries of starbirth throughout the Universe. Position (Dec): 52° 50' 54.42"